The ICS acts as an independent third party accreditation scheme, providing reassurance to members of the public, government agencies and procurement bodies that ICS members and their businesses are accredited as capable to perform the duties under CDM2015 or to advise dutyholders. 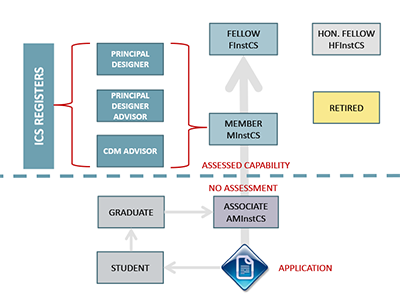 The accreditation scheme is based on peer group assessment of individual and business applications. 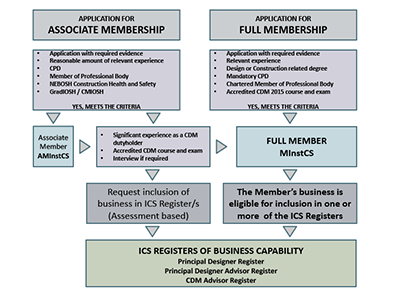 Accredited Individual Members of ICS are included in the searchable Member Register. Business members are included in searchable Registers of Duty holders and/or Advisors. There are 7 categories of individual Membership: Fellow; Member; Associate Member; Retired, Graduate; Student and Honorary Fellow.